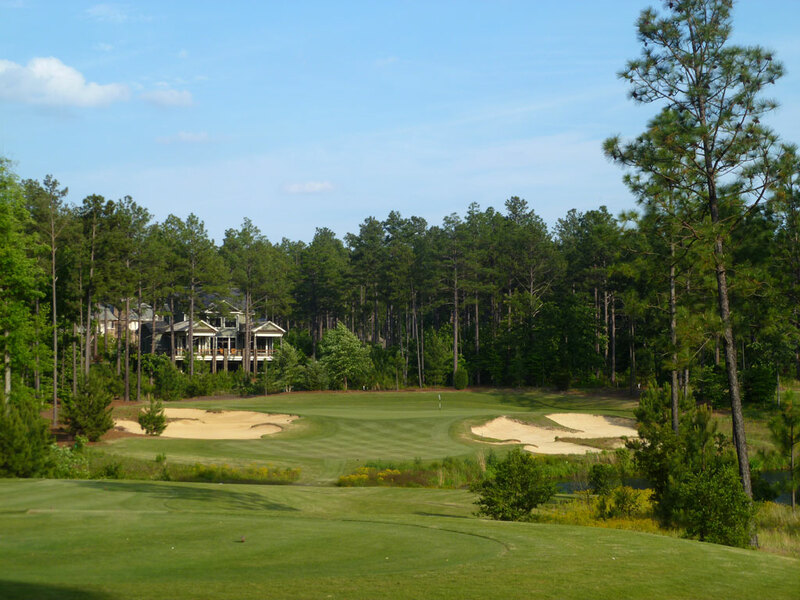 Course Website: Official Website - Visit Forest Creek Golf Club (North)'s official website by clicking on the link provided. 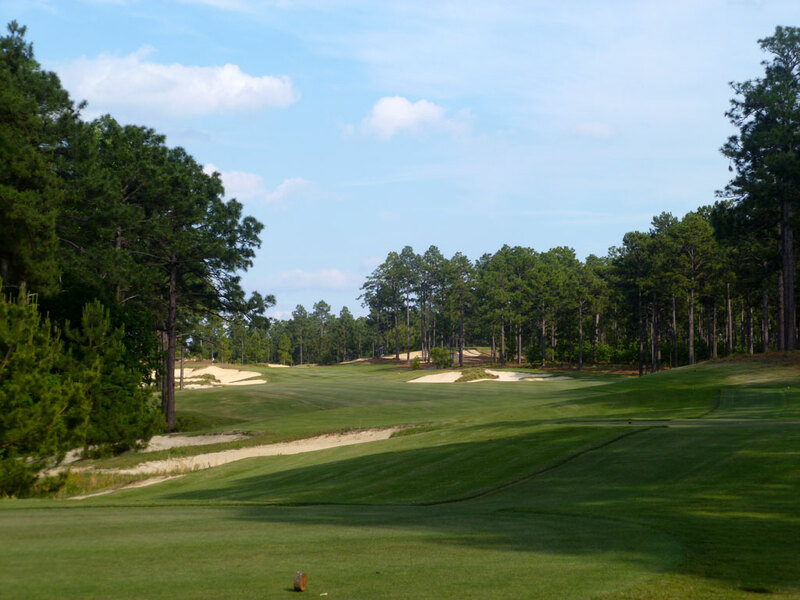 Accolades: Ranked 4th in North Carolina on Golf Course Gurus' Best in State list. 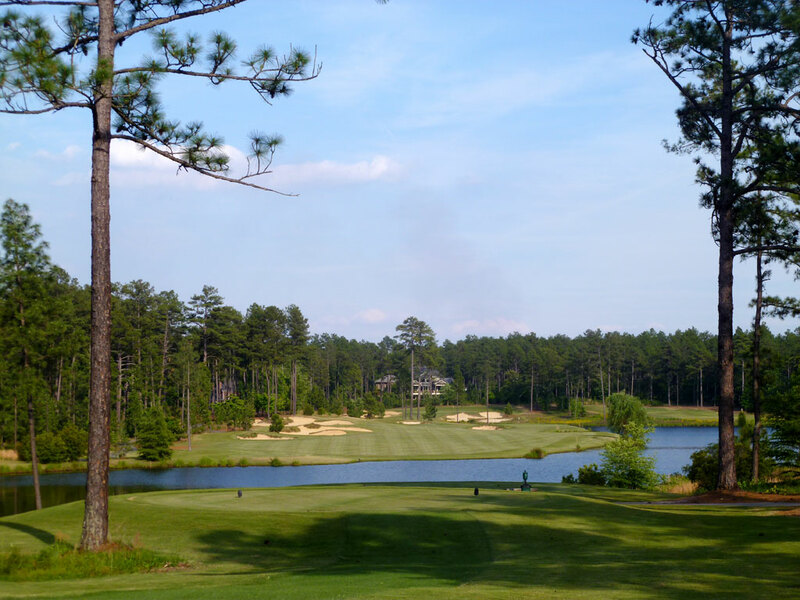 Signature Hole: 15th Hole – 432 Yard Par 4 – The signature feature at Forest Creek’s North course is the lake that three holes on the back nine, the first of which is the 15th hole. The tee shot plays over a corner of the lake with the water continuing down the right side while a collection of fairway bunkers are found up the left side of the short grass. The hole plays straight and flat and features a small bunker in front of the green and another left of the putting surface. 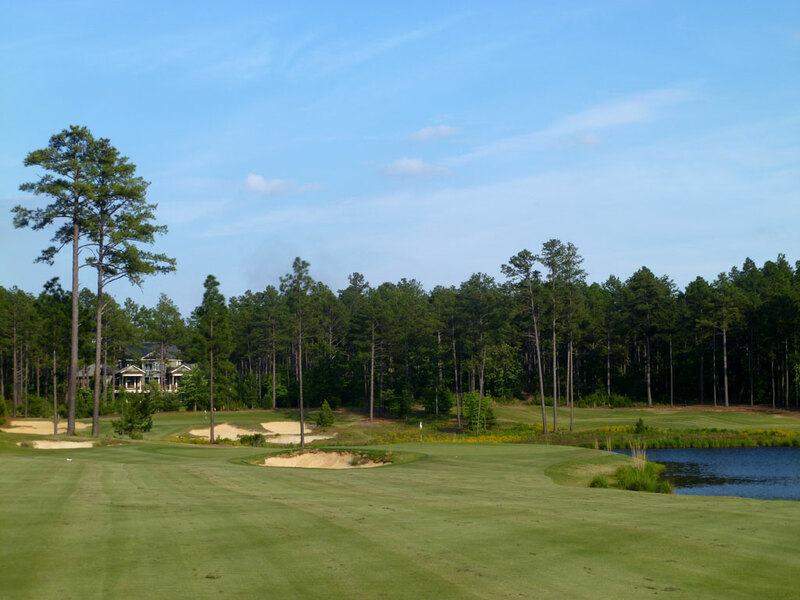 It’s a memorable hole and a classic Fazio trait where Tom saves the prettiest holes for last. Best Par 3: 16th Hole – 212 Yards – The last par three on the North course is an attractive hole that boasts two of the largest bunkers on each side of the green. The putting surface is raised above the sand and the lake rests well right of the hole. Though the bunkers pinch down the fairway in front of the green, a ground shot or aerial approach can be utilized to find the putting surface. 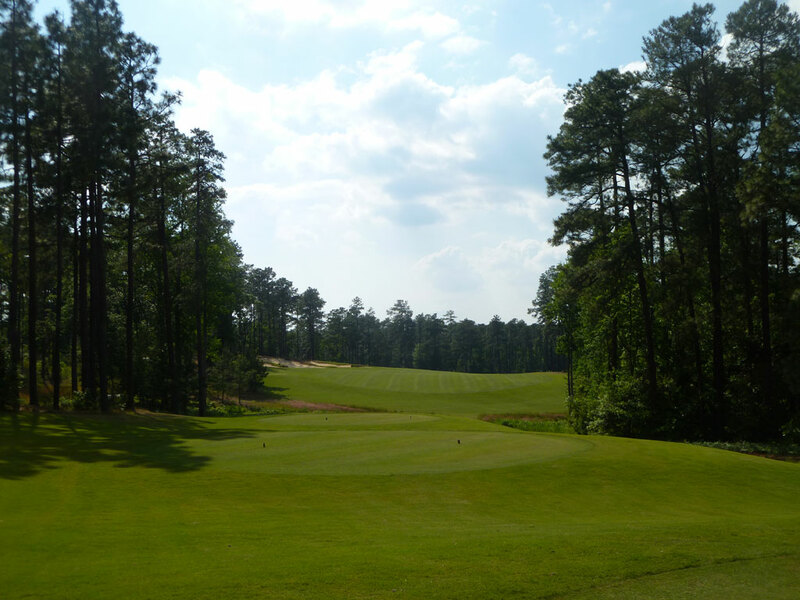 With the surrounding trees creating a large amphitheater for the hole, it yet another attractive hole at Forest Creek. Best Par 4: 7th Hole – 455 Yards – The 7th hole reaches out to the far western portion of the property before the North course works back to the east. The tee shot plays to an elevated fairway with a large bunker on the left that will catch mishit tee shots. 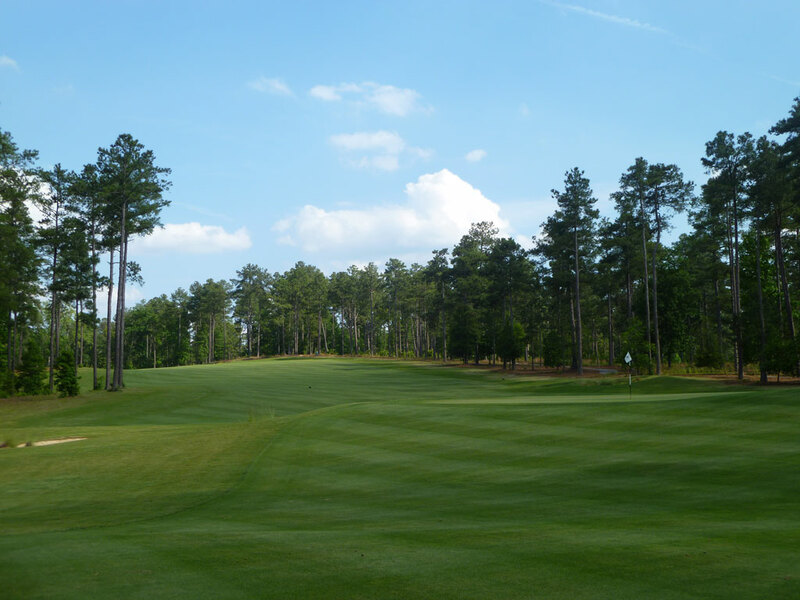 The approach shot plays down a sweeping fairway that works to the right. The putting surface is raised above the fairway before spilling over to the next tee box. A fairway bunker is located 25 yards short of the green while a greenside bunker is recessed to the right of the putting surface and runs the full length of the green. 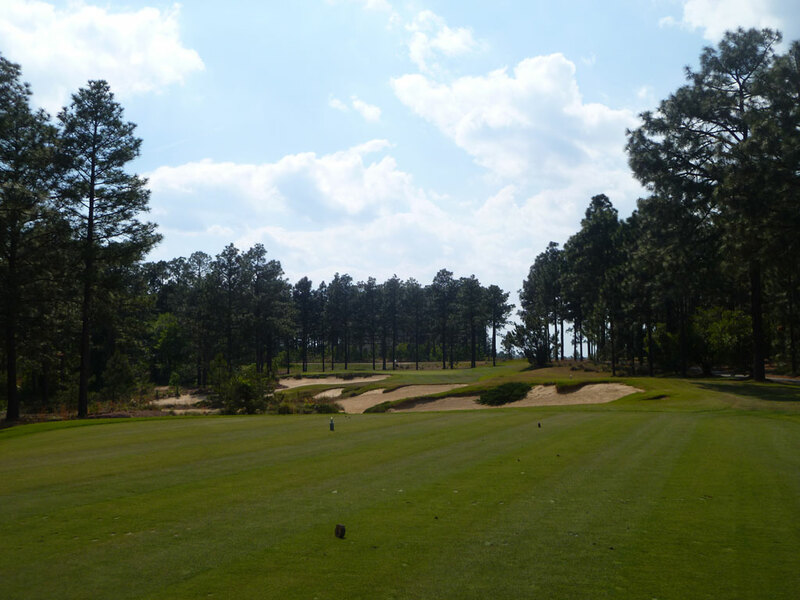 The isolated setting and sweeping nature of the fairway and approach shot make this the best par four on the course. 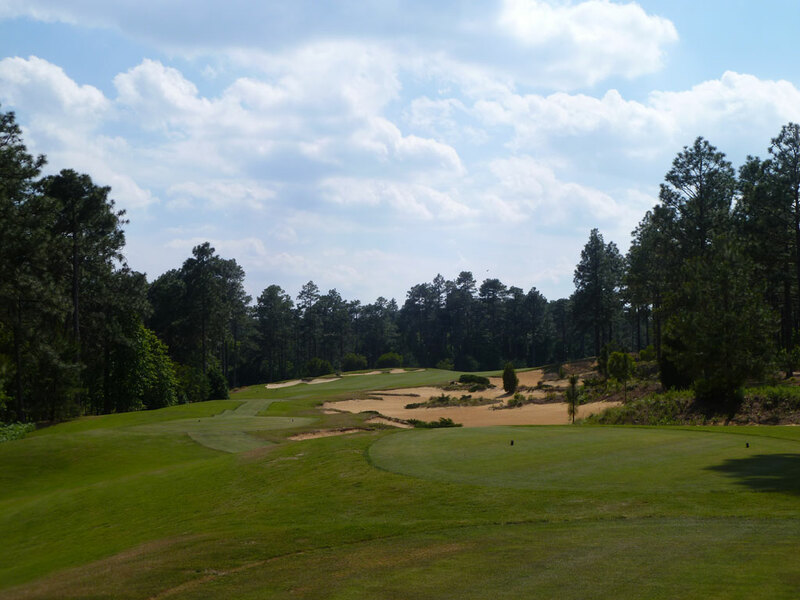 Best Par 5: 3rd Hole – 560 Yards – Fazio is famous for creating massive bunker complexes that can run over 100 yards in length and one of those Sahara style bunkers is found off the tee at the 3rd hole. While visually impressive, the bunker isn’t in play for most golfers since it can be cleared relatively easily with a driver. 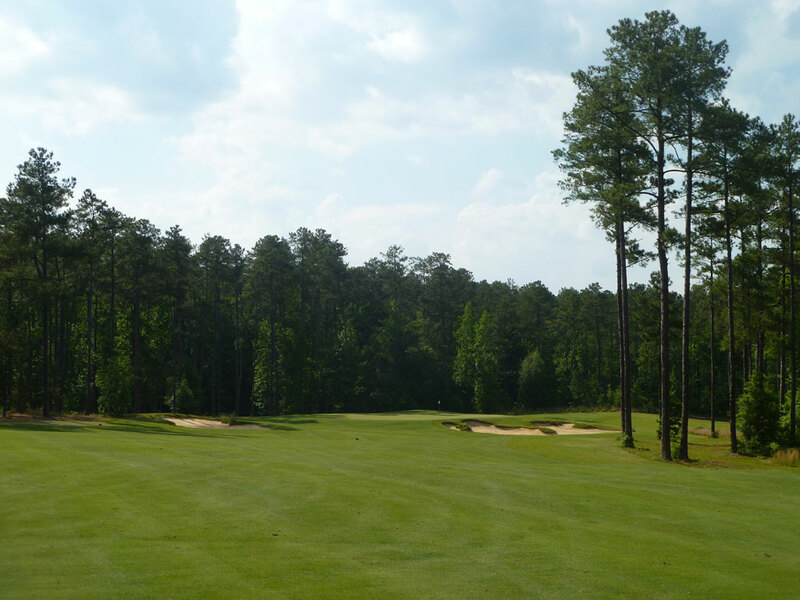 The interest of this hole increases as the golfer is presented with a double dogleg that cuts right and then back left before getting to the green. The green is quite wide and shallow which presents an extra challenge if trying to reach the putting surface in two. Two bunkers protect the front right corner of the green and collect a significant amount of shots due to the narrow landing area offered by the green. Reaching this green in two will require playing up the right side of the hole for most golfers and then threading a fade shot into the green in order to utilize the largest width of the putting surface. Birdie Time: 4th Hole – 168 Yard Par 3 – Featuring another of Fazio’s 100+ yard long bunkers, the sand is mainly cosmetic and the only thing on your mind should be where the pin is. With a short iron in your hand and teed up lie on the perfectly groomed tee box, throwing a dart at the hole should be no problem. The slightly raised green is relatively round with no major areas to be leery of so take dead aim and stick one close! Bogey Beware: 12th Hole – 406 Yard Par 4 – At just over 400 yards, the 12th hole doesn’t look intimidating on the scorecard, but when you are standing on the tee box the intimidation level goes way up. Looking up the fairway it appears to be more sand than grass to land your tee ball on. 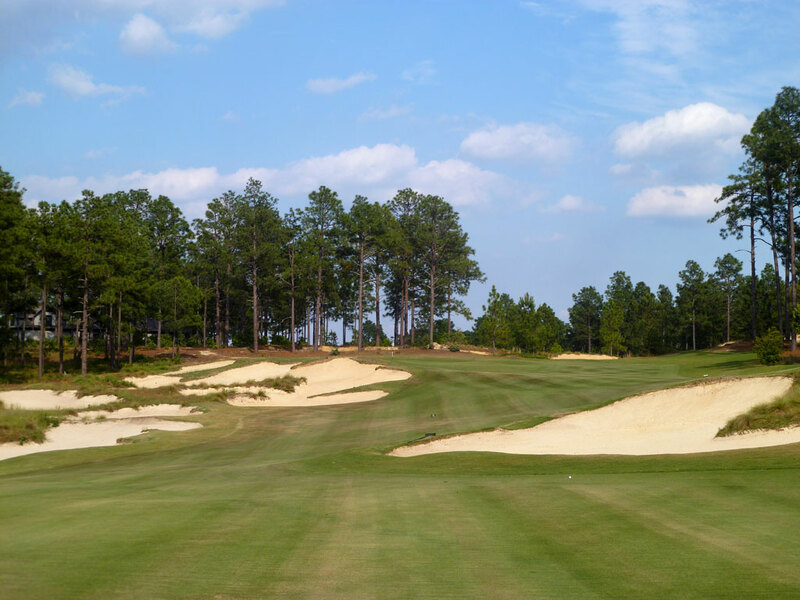 The largest trouble area is a bunker in the landing zone that eats up three-quarters of the right side of the fairway. Beyond that bunker on the left side of the hole is a collection of bunkers is peppered all the way up to the raised green. The best angle to the green is found by hitting a tee shot as close as you can to the bunker on the right without rolling in the sand while a tee shot up the left side will bring several bunkers into play and the shallowest part of the green to land on. Brute strength isn’t needed here, but accuracy and precision is in order to avoid a bogey.